Regalix reports 86% of marketers agree analytics is key to success in digital marketing, but only 29% think they’re very effective at measuring ROI with their existing metrics. A full quarter say they can’t measure ROI at all! Metrics are critical for success. Yet, the metrics aren’t providing the insights they need. No one can make good decisions with crappy data. Unfortunately, as most folks passionate about using digital analytics, getting good quality data from existing tools is hard. I’ve gone 5 rounds with Google trying to figure out why they charge me for more clicks in adwords than show up in Google Analytics. And, I don’t see it getting any better any time soon. There’s just too much imprecision in the way they measure stuff. Neither does Gardner. Here’s what they DIDN’T publish in their recent report on the State of Digital Marketing in 2015. Many organizations take for granted that data about prospects and customers in their own marketing automation and CRM systems is incorrect, incomplete, duplicated, or our-of-date. This is one of the reasons they turn to third parties. But third-party data accumulated by aggregators and sold to marketers that can suffer from similar defects, as well as problems with opaque and dubious privacy protection policies applied to data collection and the potential that, as marketing technologies tackle the problems of click and impression fraud, fraudsters will find fertile ground in data markets. For me, I focus on trends rather than absolutes. This, of course, assumes that data varies systematically which is probably not entirely accurate either. The alternative is to continue collecting data in a (hopeless) effort to find the “real” number. Likely, there is no “real” number. 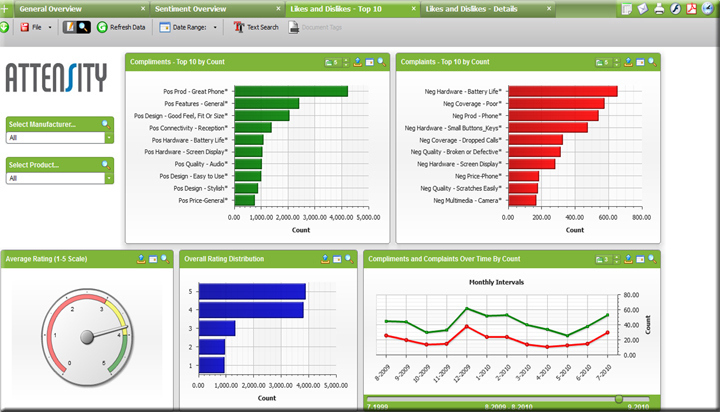 While our tools are limited in dealing with data quality issues, measuring ROI with biased data is unnecessary. Bias influences your efforts at measuring ROI in several ways. For one, you maybe be “hearing” the wrong people. In a recent post, I showed how Vision Critical found relying on social media listening yields biased results. In fact, social media conversations mostly come from enthusiasts, who represent less than 29% of social media users. More seriously, social media enthusiasts differ in a systematic way from other users. Another source of bias comes when users access your internet properties from different devices – laptop, tablet, smartphone … Each point of access masquerades as if it’s a unique visit. You’re measuring ROI, but you’re getting it in fragments rather than the entire customer journey. I could write an entire post just about using the wrong measures in assessing ROI. In fact, I have. Check it out here. Sure, these metrics have a certain value, but it’s not much. Measuring ROI also doesn’t mean just looking for the last touch before a customer purchase. You need to assess the entire customer journey because each step in that journey leads to purchase. Understanding how customers move through their purchase decision, what factors interfere with that purchase, how they first learned about your product, and other customer journey questions are critical to having any hope of measuring ROI accurately. 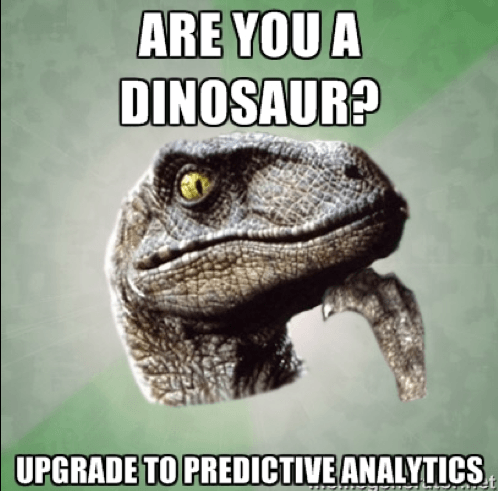 While we’re on the topic of the wrong data, let me say a few words about predictive analytics. Measuring ROI can survive nicely just using descriptive analtyics, But, I encourage you to go beyond these simple statements of reality and graduate to predictive analytics. With predictive analytics, you’re not confined to simply measuring ROI, you can predict it. Now, don’t go writing checks you can’t cash. You’re predictions aren’t likely to be accurate enough to bet the bank on. They’re probabilistic — meaning predictive analytics are better at telling you which course of action will likely result in the highers ROI rather than telling you what your ROI will be with any accuracy. That said, probabilistic forecasting models perform much better than other types of forecasting, such as trend forecasting. Marketers just aren’t trained in analytics. Some have good training and others spent years culling a good working knowledge of digital marketing analytics. But, there aren’t enough of us to go around. We need lots more. That’s why a colleague is planning a Masters in Marketing Intelligence combined with a certificate in interactive marketing. A winning combination. In an interview recently, the interviewer responded to my concerns over poor training by asking if firms could use statisticians and folks trained in BI (Business Intelligence). Sure, these guys (and gals) are better than nothing, but they don’t have the marketing training to understand what should be measured. They’re great at measuring ROI or analyzing your survey results, but they’re not good at measuring all the things that create ROI. (see the section above on measuring the wrong stuff. Maybe this is a corollary to the problem in the last section, it just feels different. The cure is different, though. With poor training, the solution is to train more. With ineffective analysis, the solution might be providing visualization of the data to make interpretation easier. Or, bringing multiple data sources into a single dashboard where they can be compared, correlated, or simply graphed together. Businesses collecting mountains of data, analysts spending hours massaging the data for insights and writing reports containing recommendations, and paying top dollar for the latest whiz band analytics tool. I’m not sure where it happened or why it happened, but somewhere in the C-suite, analytics got a bad rep and executives would rather rely on gut, how it’s always been done, politics, or a mentor’s influence than do the hard job of understanding all the squiggly lines, pie charts, and decidedly unfun math. Maybe the fault lies with the tool — it didn’t provide sufficient visualization to ease the decision-making burden. Maybe the fault lies with the executive and training on using analytics tools might help. Or a better alignment between his/her rewards and results from measuring ROI. Instead of pointing fingers, let’s just get out there and fix the problem. Businesses need information now, not 2 weeks from now or a month from now. They need it now. Problem is, many businesses don’t realize they need data now. I was flabbergasted recently when a colleague told me she only looked at her clients’ analytics every month. I look at my clients’ analytics every day. Sometimes multiple times a day. And, big companies use real-time analytics on the fly — as the action is happening. 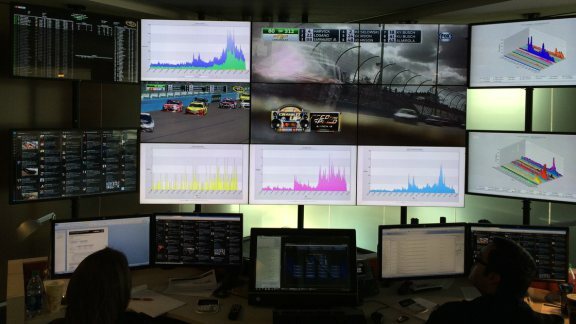 Take a look at the NASCAR command center tracking Tweets and other digital metrics as the race is going on. They adjust their tactics, respond to viewers, and optimize their strategy on the fly with cars racing around the track.